We recently had a client come to us with a looming deadline and a problem. They had asked a different designer to do work for them and they were unhappy with the outcome. Long story short, we took over the project and met the deadline. This brings up an important question though: what do you do if you don’t like design work that has been done? Are you going to offend the designer if you tell them you don’t like it? Do you pay for a design you don’t want to use? First off, be honest–but use tact (we are all human after all). Provide constructive feedback that explains your vision and goals for the project. If you don’t feel like you can be honest with your designer it may be time to look for a new one. Open communication is key to successful projects. Everyone involved must remember that you are all working toward the same goal. It is also important for designers to remember that a client is reacting to their ideas, not judging them as people. Sometimes a designer is simply just not the right fit for a project, their style of design may not align with the vision. It happens, and it is okay. The next question: do you pay for a design you don’t want to use? There isn’t a simple answer to this question. It depends on the agreement you have with your designer. Some designers have contracts that will state the terms if a project is terminated by either party. Other agreements require the client to pay a down payment which may be forfeited upon project termination. With less formal agreements designers may be compensated for the time they put into the project-to-date. Whatever the agreement, always keep it professional. 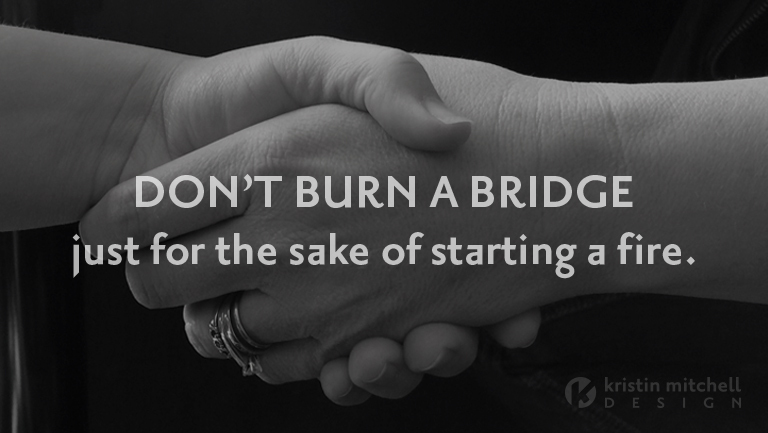 Don’t burn a bridge just for the sake of starting a fire. The best way to avoid situations like this altogether is to build a strong relationship with your designer. There needs to be a level of trust. No designer wants their client to be unhappy. 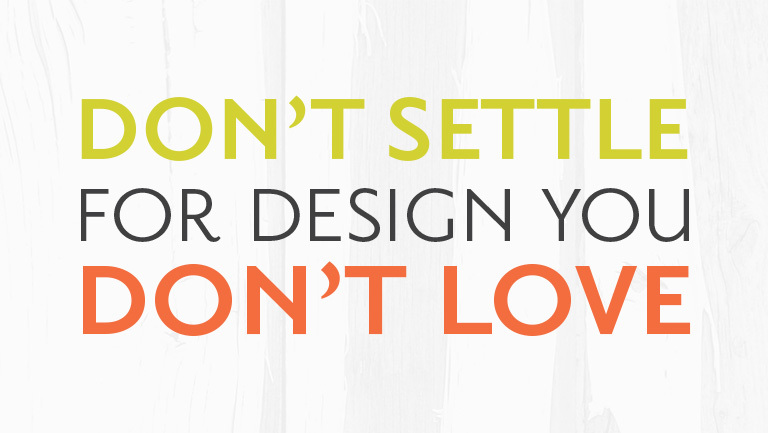 No client should feel like they have to settle for a design they don’t love. By working together and providing honest feedback the design outcome will be stronger and more successful.